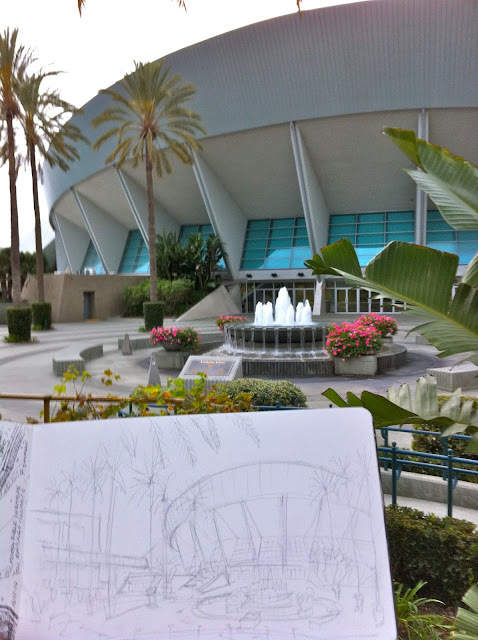 I was able to do a sketch of the cool Anaheim Arena. 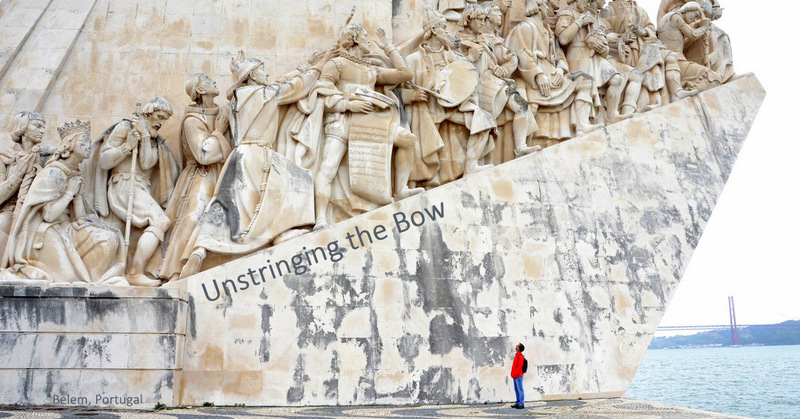 Making this sketch was a good way to unstring the bow after two days at an ACSI teacher convention. As usual I made a quick pencil sketch - I had to work fast because it was getting dark and chilly. 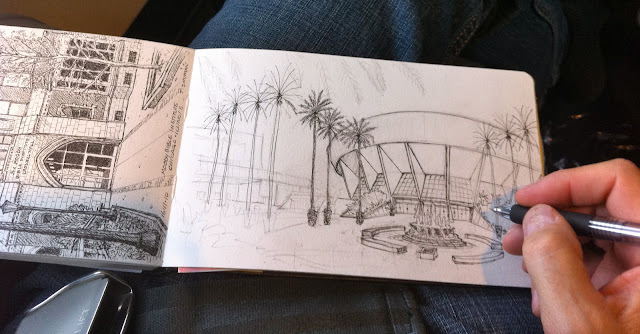 I applied ink to the drawing on my flight from Anaheim to Philadelphia. Thankfully, I got an upgrade to United First so I had lots of room to myself. Almost finished on the flight. 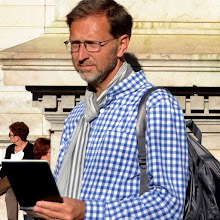 I caught your post in a Google Alert for the Convention Center. 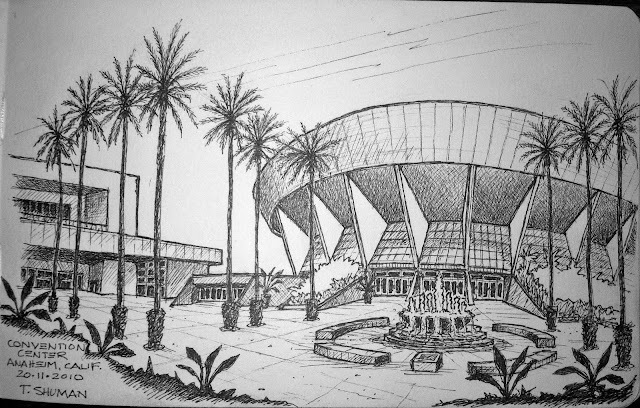 I thought your sketch of our Arena was great. Is there anyway that I could receive a copy? I would like to frame and place in our lobby area. These sketches are really very beautiful. Went for an art and craft ceremony conducted by our friend's brother. Collection was very attractive and tidy. One of the spacious convention center was booked. Loved the entrance décor and catering staff was quite attentive towards all the guests.